1913: A news report out of Madison, Wis., denies that Nebraska is pursuing membership in the Western Conference (todays Big Ten), but it would turn out the Huskers were doing exactly that. 1943: Nebraska and other Midwestern schools press ahead with maintaining their football programs despite a manpower shortage during World War II. 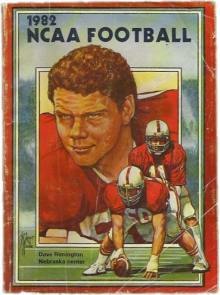 «1983: The Cincinnati Bengals sign their top draft pick, former Nebraska center Dave Rimington. 2003: Boyd Epley is reported to be on the way out as strength and conditioning director. Also, two former Huskers choose their transfer schools: Quarterback Curt Dukes to Duke and running back Marques Simmons to Iowa. 2008: Husker recruit Khiry Cooper, a wide receiver from Shreveport, La., has a decision to make after being chosen in the fifth round of the Major League Baseball draft.